Editor's note: Timmie Sue is an "old" friend of the Phantom. We went to high school together, and just by accident, we now live in the same city, far away from our high school. Timmie now goes by TSue, but to me she will always be Timmie. She and her husband travel all over the world looking for lion statues for Clever Magazine. 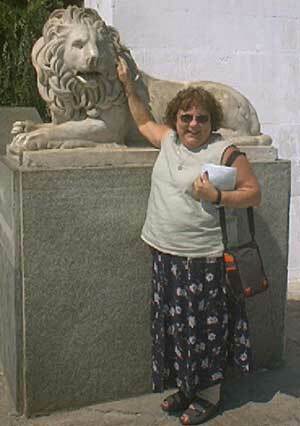 Here's Timmie in the Ukraine with a stone lion statue. Webster's Dictionary defines OBSESSION as a persistent disturbing preoccupation with an often unreasonable idea or feeling. This definition definitely fits me. It started when I read The Phantom’s articles on Lion Statues. It was so innocent: just a few photos of lion statues in prominent places around the world. 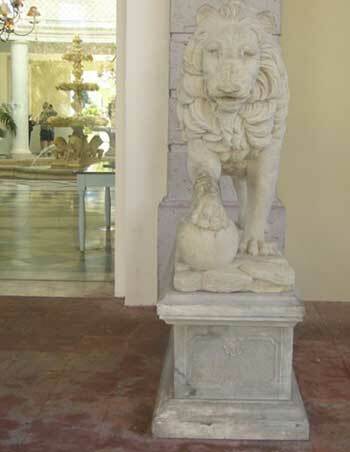 notice the lions in the lobby fountain. At first it was a lion here and there. What could it hurt to stop and take a photo? I found more and more lions. I was so proud of myself, I had found so many. Soon it became disturbing. I would see lions in so many places and had to take photos of all of them. 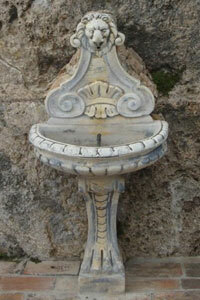 They are in stained glass windows, wall plaques, entry ways, and oh so many fountains. 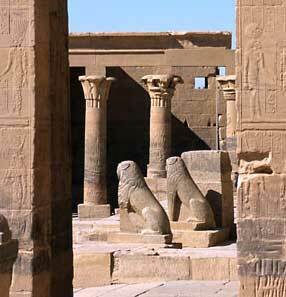 I have sent The Phantom photos of lions in Egypt: that was easy because there were so many. 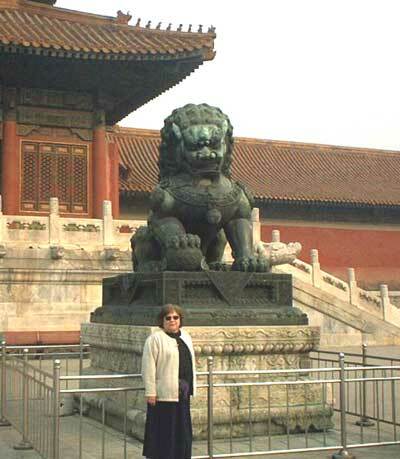 Then there were the lions of China, I hit pay dirt on that one. Did I stop? Oh no, there are the lions of Mexico, Ukraine, and Tangier, and on and on. 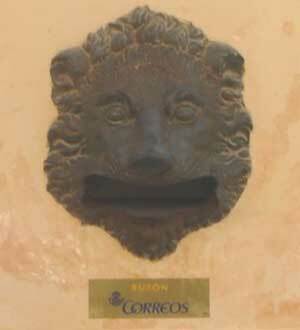 My latest was the lion of Andalucía, Spain. It was on my last quest when I discovered that I have a real problem. I found I was compelled to find lions. I even motivated my husband to join me in the hunt to find that “special” lion. I often find that I am relentless in looking for that very interesting lion in that very odd place. I don't think there is a cure for a lion obsession so it is my destiny to aimlessly wander the world photographing the lion. There are many more yet to be found.